The ongoing controversy over the AMERI power agreement has taken a new twist with the Dubai based company claiming it was not aware of the novation agreement currently before Parliament. In a letter sighted by Myjoyonline.com, the Dubai-based company says it has no knowledge of the new agreement. According to Ameri, it was not involved in any discussion with the Energy Ministry on renegotiating or amending the power deal signed with the John Mahama led government in 2015. AMERI also says it has no knowledge of any commercial discussions between the ministry and the new party Mytilineos company limited. However, a separate letter also sighted by our reporters indicate that AMERI at the very least had appointed a Ghanaian to liaise with the Akufo-Addo government in its bid to review the original agreement. 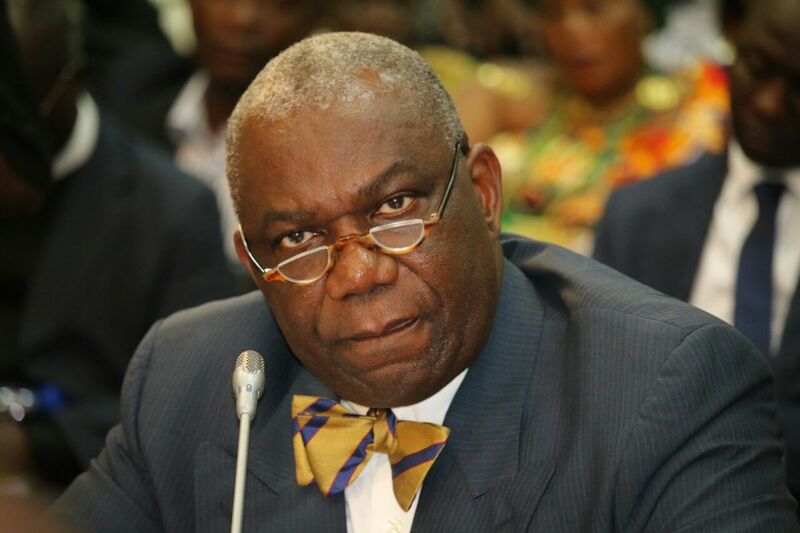 The new deal presented to parliament by the Energy Minister, Boakye Agyarko, will see a new company, Mytilineous International Trading Company, take over the management of the AMERI power plant for 15 years. Our sources have said government is considering withdrawing the agreement from parliament following the criticism and public backlash. The Philip Addison led committee concluded the deal had been inflated by about $150 million and recommended a review. But the new deal which has Mytilineos company limited taking over as plant owners for 15 years has been heavily criticised. The minority in parliament is pushing for the new deal to be withdrawn and has requested certain documents from the attorney general, finance ministry and other stakeholders. In the wake of the controversy, there were reports championed by a confidante of the president Gabby Asare Okyere Darko suggesting the president has stopped the deal at least for the time being. There is, however, no independent confirmation for now. Even before the report on the president’s decision would be confirmed a letter has popped in which AMERI is seeking to wash its hands off the new deal. The Ameri group suggests permits, permissions and requisite approvals were not gotten from other stakeholders to the existing power deal — the Finance Ministry, Attorney General’s Department Volta River Authority, as well as the Public Utility and Regulatory Committee (PURC) — before the documents for renegotiation, were sent to parliament. AMERI also served a final notice of default in outstanding payments of $82,660,560 stating that no action has been taken on earlier notices received by the ministry. Interestingly a counter letter has also been sighted with the headline: “Letter of Authorization” the AMERI group in that July 24 letter had given one Mr Nicholas Mawuse Addo the power of attorney to represent them in the new agreement. “On behalf of the Company, hereby authorize Mr. Nicholas Mawuse Addo, Ghanaian national, (copy enclosed) to only initial the Novation and Amendment Agreement for Build Own Operate & Transfer Agreement, Dated 10.02.2015 (the “Purpose”), signed between the Government of Ghana through the Ministry of Energy and Africa and Middle East Resources Investment Group L.L.C., which was subsequently assigned to Ameri Energy Power Equipment Trading L.L.C. (“the Transaction”) in connection with the Transaction. Government spokespersons have suggested a company that claims to be unaware of deal cannot appoint a person to initial on their behalf.